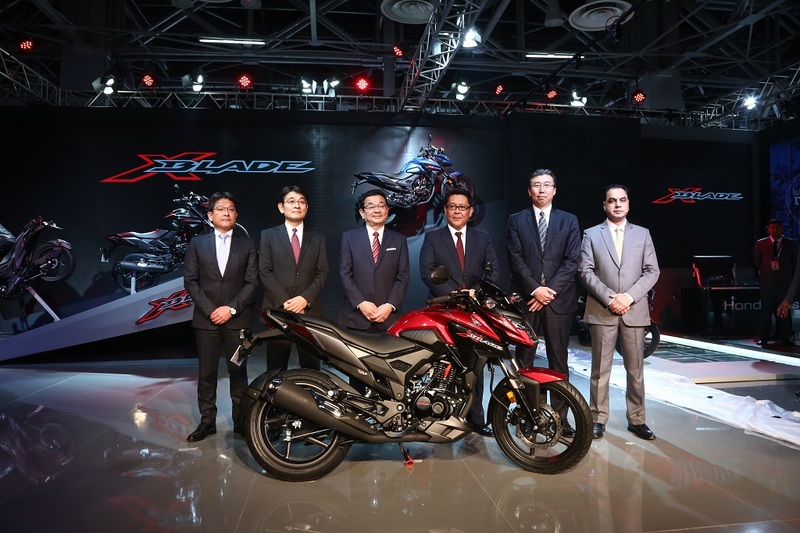 BRAND NEW 160cc stylish motorcycle X-Blade unveiled! Greater Noida, February 7, 2018: Honda Motorcycle and Scooter India Pvt. Ltd. today unveiled its most extensive product line-up of 11 new models at the 14th Auto Expo 2018. Leading from the front is Honda’s brand new 160cc motorcycle X-Blade along with 10 exciting 2018 editions (6 domestic models and 4 global fun bikes). It’s aggressive and futuristic design is further accentuated by link type gear shifter, unique spilt grab rails, stylish alloy wheels, hugger fender and muscular graphics. 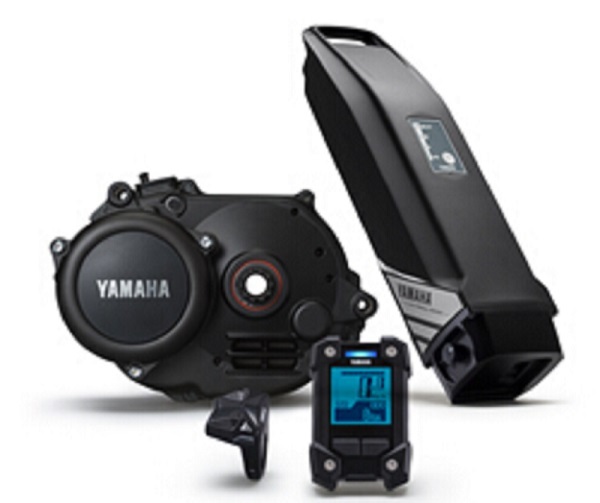 The all new digital instrumentation comes with a Service Due Indicator and gear position indicator. The long 1,347 mm wheelbase and the wider 130 section tubeless rear tyre enhance stability in bad roads and ensures comfort during longer rides. X-Blade will be available in 5 colours options – Matte Marvel Blue Metallic / Matte Frozen Silver Metallic / Pearl Spartan Red / Pearl Igneous Black and Matte Marshal Green Metallic. The X-Blade prices will be announced closer to its market availability in March 2018. Transforming the way India rides ahead, NEW ‘ACTIVA 5G’ revolutionises mobility. The 5th generation of India’s No. 1 selling two-wheeler gets New Deluxe variant (with digital-analog meter and ECO speed indicator and Service Due Indicator), full LED Headlamp and position lamp (Industry First in any 110cc two-wheeler), next-generation looks (new front chrome garnish), 2 new colours (NEW Dazzle Yellow Metallic, NEW Pearl Spartan Red), added convenience (front hook, 4-in-1 lock with seat opener switch and retractable rear hook) and higher durability (metal muffler protector). 2018 edition of LIVO: Honda’s 110cc sharp and stylish commuter Livo in its 2018 edition gets added convenience of new analog-digital meter console with Service Due Indicator, clock and the low-maintenance seal chain. 2018 edition of CB SHINE: India’s largest selling executive motorcycle now outshines all others with its new graphics, front chrome garnish, refreshed instrumentation, low maintenance sealed chain and a new colour (Imperial Red metallic). The effortlessly stylish new 2018 edition of CB SHINE SP comes with aggressive tank shroud and new sporty graphics. Adding to the rider’s convenience are the new instrumentation cluster with Service Due Indicator & clock. The 2018 edition of CB HORNET 160R now comes loaded with new powerful all-LED headlamp – a segment first feature. Takes its Raw. Real. Ripped appeal, CB Hornet 160R will now be Honda’s second motorcycle with the ABS option (after CBR 250R), a more muscular stance, eye catching graphics, hazard lamps and cool blue back lit instrumentation. Honda’s 160cc advanced street-fighter gets a new colour (Dazzle Yellow Metallic) in addition to existing colours and will be available for sale in 4 variants – Standard, CBS, ABS and ABS Deluxe. Making its grand comeback is the 2018 edition of CBR 250R! Drawing inspiration from the rich CBR lineage, the CBR 250R now comes with all-LED headlamp with position lamp, 2-channel ABS, completely new graphics and 2 new sporty colours (NEW Mars Orange, NEW Striking Green) in addition to the Pearl Sports Yellow, Sports Red and Vibrant Orange (Repsol). 2018 edition of CBR650F: With enhanced riding dynamics, aggressive styling and a wilder induction roar, new CBR650F is ready to take sports touring to the next level. Along with new Showa Dual Bending Valve type front fork, Nissin brake calipers, all LED headlamp, the middleweight champion comes loaded with new intake and exhaust. New CBR650F will be available in Millennium Red and Matte Gunpowder Black Metallic. 2018 edition of AFRICA TWIN takes the road less travelled with its new throttle by wire technology with 3 new rider modes for custom engine character and traction. The true adventure companion also gains a new lighter lithium ion battery (2.3 kg lighter), all new instrumentation, stainless steel spokes with redesigned footrest hangers for better off-road use and new emergency stop signal function in the rear indicators. 2018 edition of CBR1000RR & CBR1000RR SP: The new CBR1000RR is more than any previous generations of Fireblade. It’s lighter (90% of main components revised for a 16 kg weight reduction to a class leading 195 kg), more powerful (14% improved power-to-weight ratio), delivers astonishing performance (new gyroscopic ABS, Throttle by Wire, 9 level Honda Selectable Torque Control, Selectable Engine Brake, Honda Electronic Steering Damper and Power Selector), comes loaded with advanced electronics (full-colour TFT instrumentation inspired by RC 213V-S) and gets a new Grand Prix Red colour too. Tuned for the hard-core riders, CBR1000RR Fireblade SP is Honda’s first ever motorcycle to come with semi-active Öhlins Electronic Control (S-EC) suspension, lithium ion battery, quick-shifter with slipper clutch and Brembo front calipers. Stealing the show is the 2018 edition of GOLD WING – Honda’s iconic 1800cc King of Tourers. In the new avatar, Gold Wing gets the 7-speed DCT (Dual Clutch Transmission) technology (World first in any Honda motorcycle) and new compact flat six-cylinder engine which is 6.2 kg lighter. The luxury ride now gets Honda’s double wishbone front suspension. Adding royal comfort is the Apple CarPlay integration in a 7-inch TFT colour display (World’s first in any motorcycle), electronically adjustable windscreen, full LED lighting and new Candy Ardent Red colour. Displaying Honda’s initiative in the EV field is Honda’s latest PCX EV concept. The electric scooter is equipped with a high output motor developed independently by Honda. 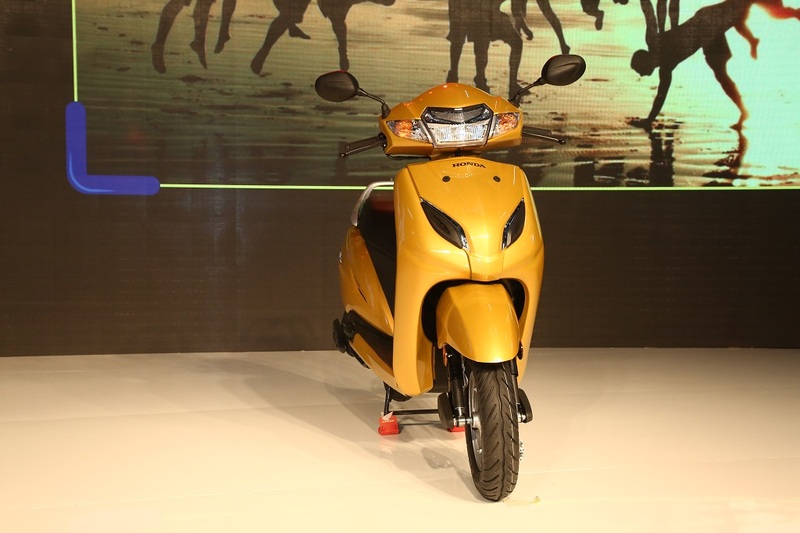 Aiming to emerge as a more harmonious mobility option PCX EV is fitted with removable lithium ion based Honda Mobile Power Pack which can be charged separately or inside the scooter. Get ready to witness the pinnacle of Honda engineering first-hand as RC213V – Honda’s 2017 MotoGP winning bike ridden by World Champion Marc Marquez makes its first appearance. Walk down the memory lane in Activa Legacy Zone and see the transformation of Activa – India’s most loved two-wheeler in the last 17 years. Committed to spread road safety awareness in India, Honda has an exclusive outdoor Safe Riding Zone. For kids, there are the road safety contests and practical learning session on the special CRF 50 children bike. Honda’s proprietary Riding Trainer is initiating new riders on road safety with its fresh interface. For women, Honda has the exclusive Female Safety Riding training sessions helmed by female instructors. Honda pavilion will be the centres of attention for youth as Honda’s brand ambassadors – Taapsee Pannu and Akshay Kumar are set to visit in the weekend (10 – 11 February). At the Honda pavilion, there many interactive activities with prizes for the digital generation of today. The specially designed digital cannon Dream Launcher (#PowerOfDreams) propels ‘The Power of Dreams’ of thousands of visitors and projects their most cherished dreams to the screen. The India Loves Activa (#IndiaLovesActiva) engagement sees Honda personalizing fun short video of participants riding all the generations of Activa. There are also 2 special photo-opportunity zones. For the racing fans, there is the race-prepped Honda One Make Race CBR 250R bike (#HondaRacing). At the outdoor Honda Safe Riding zone, visitors can grace the cover page of a mock magazine while spreading road safety awareness (#SafetyForEveryone).